Israa al-Ghomgham has walked us through processes that have some witnesses nearly jumping out of their skins with apoplectic outrage. They conclude, the colour of right, is hers. she was born into the wrong religious sect in the eyes of the caliph. Report cover depicting King Salman with a Caliphate beheading sword. Photo obtained by the European Saudi Organization for Human Rights. The imposition of the death penalty – particularly in the barbaric and public way in which it is used in Saudi Arabia – is incompatible with fundamental tenets of human rights law. — Ben Emmerson, former UN special rapporteur. A caliphate is an Islamic state led by a caliph (MbS), who is a leader, perceived or claimed successor to the Islamic prophet Muhammad. MbS power and authority is absolute, even more than the lame-duck 82-year-old King who may not be happy with the losing gambling streak of the greedy Crown Prince. What Abu Bakr al-Baghdadi could not claim for his own cult and future dynasty, the House of Saud had already built since the 17th century: The Caliphate ready to be claimed by Saudi Arabian Crown Prince Mohammad Bin Salman. Don’t just watch him slaughter Shi’ites. What do you do if you must justify spending hundreds of billions on military apparatus of war in a world of corruption where military sales yield huge kickbacks to lineups of people owed favours. In March 2015 the Saudi Arabian-led intervention in Yemen began with airstrikes and a naval blockade with the stated goal of of overturning the Houthi revolution which in February 2015 had seized power away from a government favoured by Saudi but which had been installed with the help of Saudi Arabia to unseat a government favoured by the Houthis. It’s complicated. That will be a contradicted explanation but it’s a neutral paragraph. Meanwhile the Saudis continue to drop American bombs on Yemen’s women and children. Civil society is demanding that hostilities in Yemen end and an adoption of the UN humanitarian disaster recovery plan ensue: UN-Humanitarian-Response-Plan-January-to-December-2018. Saudi Arabia culture derives from the 17th century. Oil money pours this way and that while about 9 million foreigners and 2 million illegal immigrants live inside the Caliphate gates hoping to grab a fistful from the oil trove for their own pockets They are willing to do whatever the House of Saud commands to get their cash and bling. This process has funded murders around the world including 3,000 in America on September 11, 2001. Read: Saudi Arabia Just Opened a can of Wind. Demonstrating its loathing for rival Shia Muslims the predominantly Sunni Muslim Saudi Caliphate has been since 2015, without end, slaughtering the citizenry of Yemen, killing women and babies in futile acts of attempted genocide. Naturally, Iran (a Shia Muslim state) is livid and now driven to prepare for all-out war with heightened militarization. Read: Saudi is itself a Terrorist State. 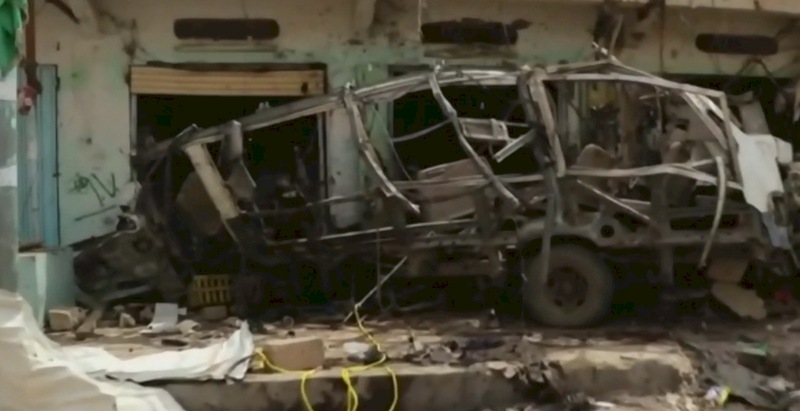 On August 9, 2018 with full complicity of the Trump White House (read USA provided bomb and target data for Yemen school bus attack), the House of Saud with pure malice and forethought, deliberated, planned and executed the bombing of civilians including dozens of children in a school bus. Given those facts, what do you think of Israa al-Ghomgham’s Chances? The House of Saud has become an authoritarian ruler akin to descriptions of the al-Baghdadi Caliphate. Today, American lives are on the line fighting in Syria and Iraq to keep Europe and North America safe at night. They are now in grave danger in Syria. The threat these Americans manage comes from abhorrent humans whose behaviour the world is not willing to tolerate and will even look the other way as whole cities and their populations are nearly wiped off the map in the effort to destroy those calling themselves “The Islamic State”. 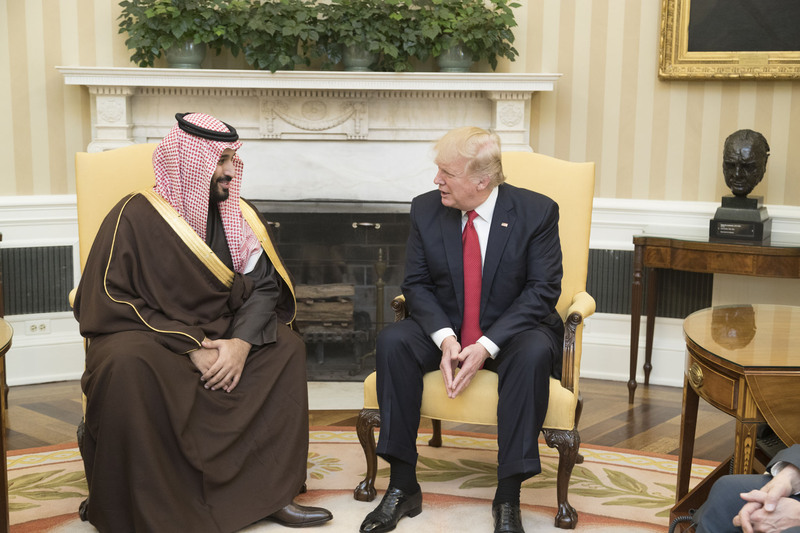 Feminine Perspective: Acceptance of enormous losses tolerated in order to quash same conduct exhibited by both ISIS and the House of Saud will be a betrayal if Saudi human rights violations are not put in check. Saudi must release all human rights workers it is persecuting. These workers seem to be all that stands between human development and the scourge of barbarism that resists change, hence resists human development. Saudi Arabia clings to ancient ideals that do not fit what the Universe clearly has in store. The House of Saud, fearing loss of power, with crude violence, resists a form of species-wide sophistication needed to match what the future has in store for the human race. British and French operators are conducting their own outreach for the safety of their own nationals at home. Their threat comes from ISIS as well as other salafi jihadists. What must they think when they see the Saudis behaving the same way as their arch enemy? The same behaviour, state-sponsored, must not be done with impunity. While the American outposts of guardians do their jobs, ironically their government also betrays them. “Saudi Arabia should urgently establish an Independent National Security and Due Process Review Mechanism to carry out a thorough independent review of all cases involving crimes allegedly committed by speech or writing. The Mechanism should first seek to identify all individuals that [sic ‘who’]* are currently serving sentences of imprisonment for acts which objectively constitute the exercise of their right to free speech, freedom of thought, conscience, religion or opinion, or the right to freedom of peaceful assembly and association. “The Mechanism should have power to, and should, commute or pardon all such prisoners with immediate effect. “The composition of the Mechanism should include one member of the senior judiciary, together with a majority of independent legal academics, lawyers in independent practice and representatives of civil society. *Ed. Note: A revealing grammar error in the raw. ‘Individual’ is a single human being, hence a person, not an object. UN officials investigating the rights of individuals need to focus their empathy rather than their ability to mechanically produce unfeeling documents. A person who cannot sense the presence of another has no empathy. This becomes important in an era of 2D despots ruling the world. The neural roots of humanitarian empathy would not allow such a Freudian slip.